SCX-3B, extra hard tension, is a bass classical halfset made up of D'Addario's silver plated copper wound on an exclusive multifilament composite core for a comfortable feel and a bold, dynamic projection. 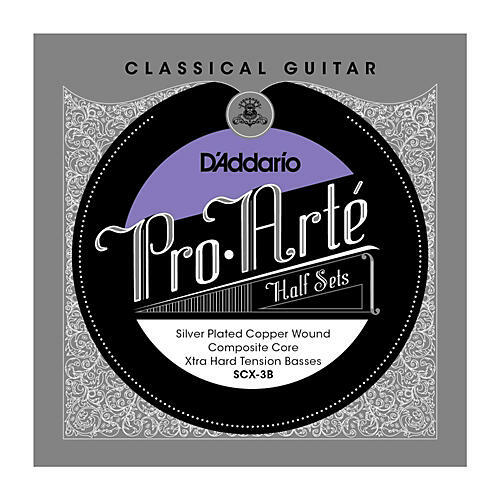 D'Addario Half Sets provide the flexibility for each player to customize their own sound and feel. Choose from a wide range of material combinations to create the voice of your instrument. Each set contains three treble or bass strings in a convenient resealable pouch.